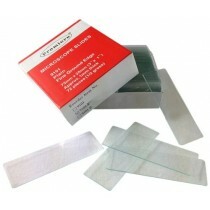 ems offers plain and frosted microscope slides and slide boxes. 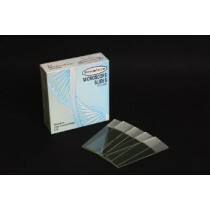 Erie, Globe, Grafco, and Premiere brands are available for plain microscope slides. Frosted microscope slides are frosted on one end to easily mark the slides, and your brand options are Erie and Premiere. 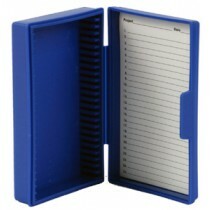 Slide boxes are available in plastic or cardboard to help organize and protect slides from damage while transporting or shipping.